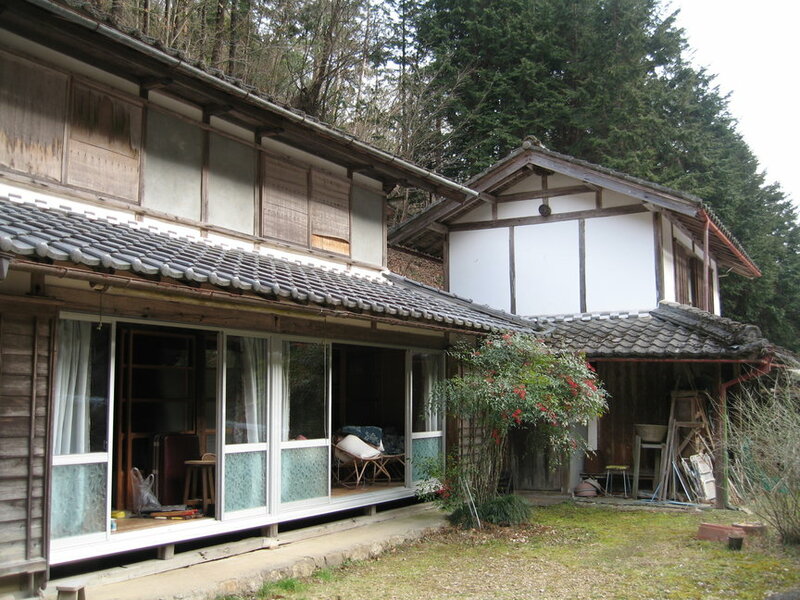 About 30 years ago we bought an old farmhouse in Gifu prefecture. 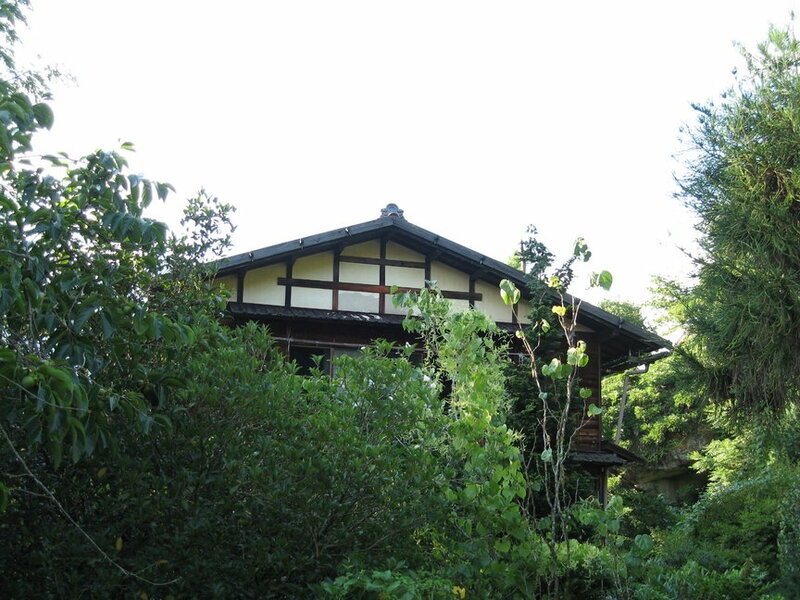 It’s not a Cultural Treasure or anything; just a typical wooden farmhouse that there must be thousands, if not millions, of all over the country. It’s about 60 years old I think, the foundations don’t look that secure and I’m sure it doesn’t meet the current earthquake-resistance standards. I bet any kind of shaking would bring it down fairly easily. Still it’s a nice example of farmhouses in this area, has some beautiful big beams in the roof and came with a collection of old farm implements in the shed next door – right up to when we bought it, it had been used for farming. The couple who used to live there had no children, and when her husband died the lady decided she’d rather live with relatives in a nearby town than out in the hills. There’s been a bit of a “back to the country” trend for a while now, but though a lot of disillusioned salarymen would like to try their hands at growing vegetables in an idyllic rural setting, it’s not always that easy. For a start, although there are lots of empty farmhouses around, as the village population move to the cities to try and make some kind of living, and the people left in the countryside get older and older, often the owners don’t want to part with them. There’s always the dream that their children might want to return to the furusato (“old village” or hometown or something) some day. So we were lucky to find our place I suppose. Farming isn’t that easy, either, if you’re a middle-aged city dweller who’s spent the last 30 years in a desk job. It’s hard work – OK if you’ve been doing it since you were a kid maybe, like those ojisans and obasans in the fields. We just potter around at weekends, trying to grow some chillies for the restaurant and maybe a few potatoes or something. Even that is made almost impossible, though, by the wild animals who regard this as their territory and move in as soon as they see our car leave and do their best to undo our work of the last two days. This is a recurring theme which I’ll no doubt be complaining about often. All that said, we come out here almost every weekend, when there isn’t something happening in town. For a start it’s wonderful to breathe some clean air for a couple of days. In the Summer, although the afternoons can be almost as swelteringly hot as Nagoya, as soon as the sun goes behind the trees around 4:30 it gets deliciously cool. Dinner under the stars with a background chorus of insects is close to paradise! Anyway, as soon as we get out here the things we have to think about are different from back in town – cutting the weeds, fixing the hole in the net where the deer got in and ate the tomatoes… whatever – and, as they say, a change is as good as a rest.